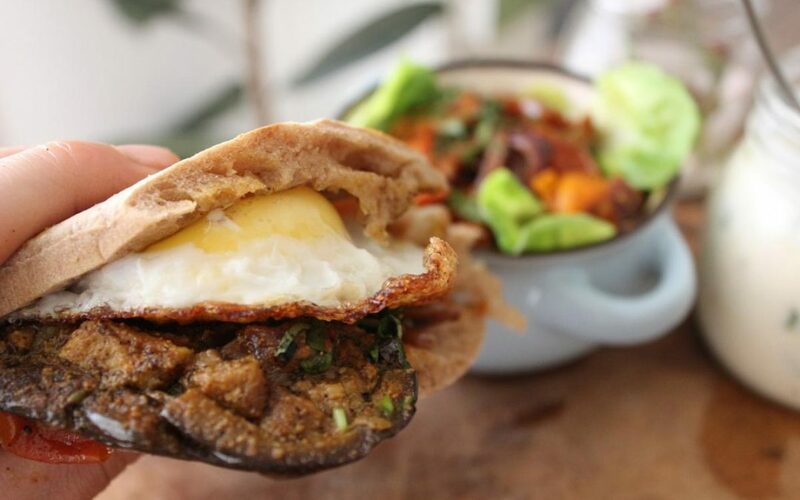 Sabich is an Iraqi-Jewish and Israeli sandwich, consisting of pita stuffed with fried eggplant and hard boiled eggs. This is my version of it . . .